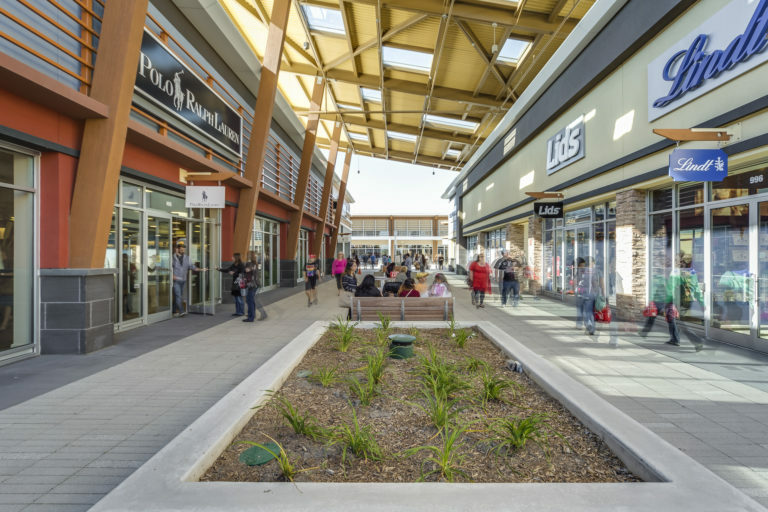 Tanger Outlets Ottawa is a vibrant retail outlet centre that has brought an upscale shopping experience and restaurants to Kanata and the greater Ottawa area. Turner Fleischer worked closely with New York-based Create Architectural Planning & Design, to render a functional commercial centre with a high level of creative design. 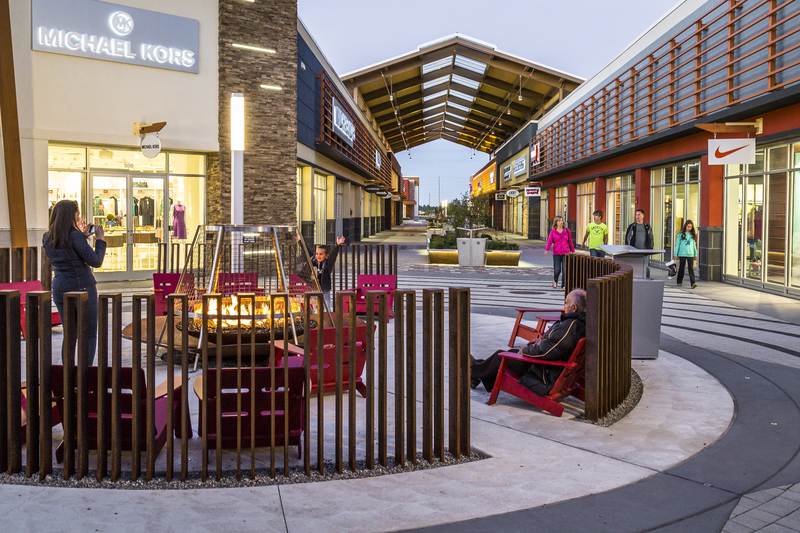 Tanger Outlets Ottawa features 11 individual buildings linked by roofs, ultimately creating one ‘megapad’. 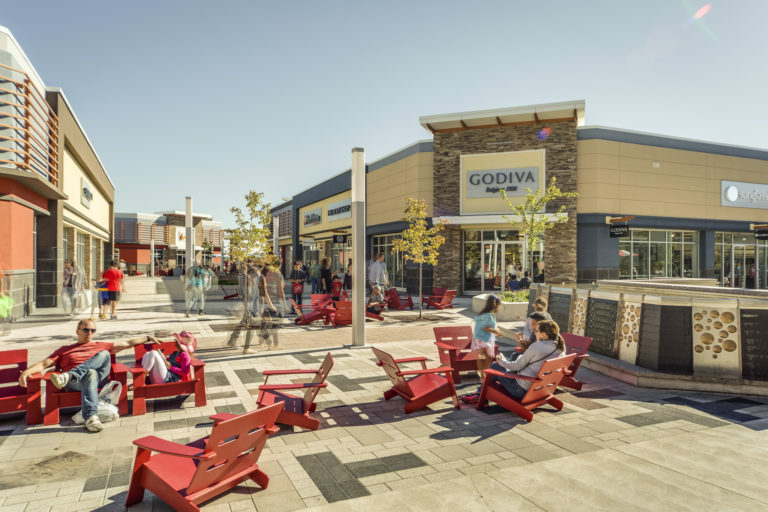 Tenants include over 80 branded factory outlet retailers from the U.S. and Canada. Landscaped internal walkways with feature areas for events offer a unique, pedestrian experience. A footbridge over Feedmill Creek provides a natural landscape feature and connects the retail experience of the development to the future site hotel and restaurants. 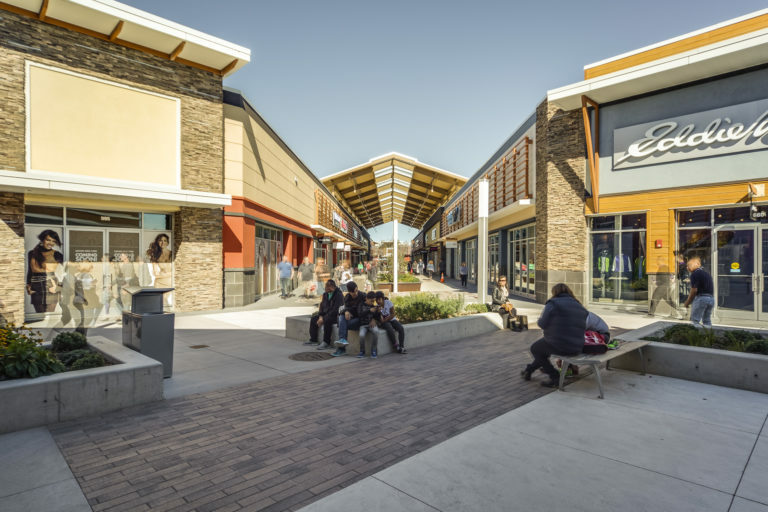 Tanger Outlets’ vibrant, pedestrian oriented shopping venue, provides shoppers with the ambience of an outdoor village street setting. 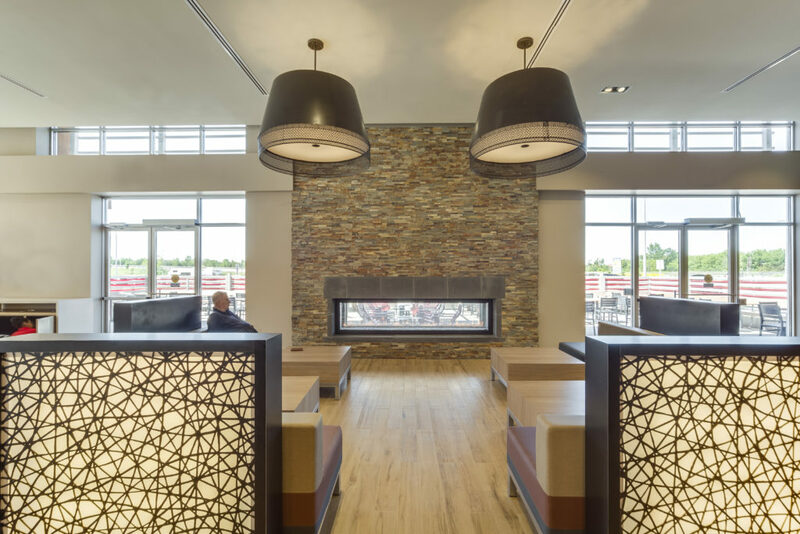 Generous landscaping, and use of native materials including wood and stone enhance the Kanata theme and play off of existing community features such as the Mississippi Valley Conservation Authority Building and the Kanata Outcrops. 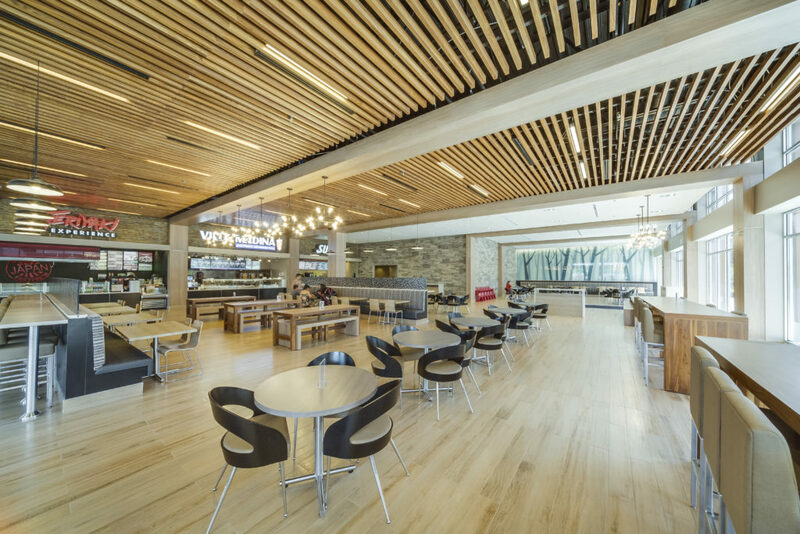 The food court, a central aspect of the design, was developed to complement and extend this overall feel indoors.